News Feed | Women's Network for a Sustainable Future | Advancing sustainability through the commitment, talent, and leadership of businesswomen worldwide. 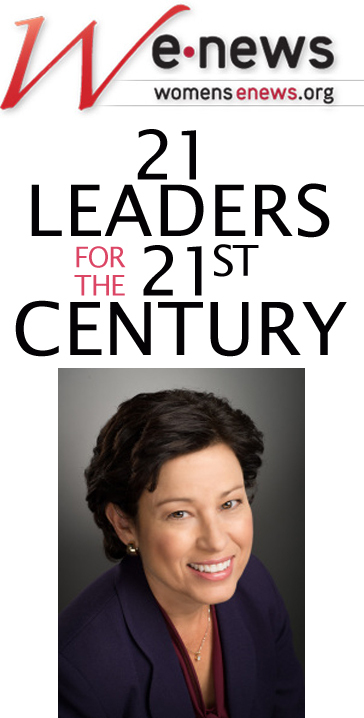 WNSF Board member Shelly Esque has been named by Women’s eNews as one of 2014’s 21 leaders for the 21st Century. Shelly is among seven being recognized for “speaking across our generations”, for her lifetime of work empowering and educating girls. 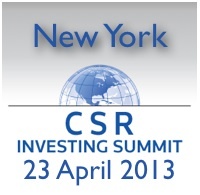 Please attend Reuters CSR Investing Summit April 23 in NYC and hear WNSF Board Member Marlys Appleton speak. Use ASSET4 for super disccount before APRIL 4. Amy Hall is the Director of Social Consciousness and a member of the Leadership Forum for women’s clothing designer EILEEN FISHER. Amy supports the company’s efforts to practice business responsibly. In her role, Amy guides the company’s human rights work in its supply chain, supports women and girls through strategic partnerships, and ensures a growing commitment to environmental sustainability in product and practice. Below are highlights from her presentation at the 2013 WNSF Summit. Climate change and increased frequencies of climate variability will affect system processes within multiple sectors in cities and will thereby bring about a change in the operation strategies of urban-managers and decision-makers (Rosenzweig et. al., 2011). In the wake of sudden climate variability, food and retail companies in the private sector face supply chain disruptions: coffee crops, for example, are highly sensitive to weather changes and rising temperatures, and cotton is infamously known as a thirsty plant (Lehner, 2012). Climate change adaptation policies will vary widely, are location dependent and need to be specifically designed at a local scale (Hallegatte et. al., 2011). With the frequencies of climate variabilities and increasing global warming, market opportunities have opened up for climate-resilient products (Lehner, 2012). At the recent WNSF Summit on February 21, Amy Hall, Director of Social Consciousness at Eileen Fisher Company, commented on how Eileen Fisher is responding to the risks of climate change and opportunities through a long and durable process of adaptation. Amy noted that the latest initiative by Eileen Fisher – Green Eileen – is the first of its kind in the fashion retail sector in New York. A recycling program, Green Eileen collects and resells gently worn Eileen Fisher clothing. In this way, the private firm extends the life of garments, keeps clothing out of landfills and helps ensure long-term sustainable business practices. “In just three years, sales from our gently worn clothing have added up to $1.3 million in proceeds, all of which goes towards non-profit groups supporting Eileen Fisher”, explained Amy. Eileen Fisher also has a Repair Program at its distribution center in Secaucus, New Jersey. “Repairing items rather than replacing them keeps clothing in customers’ closets and out of the landfills,”according to Jim Gundell, Co-Chief Operating Officer and Facilitating Leader at Eileen Fisher. Eileen Fisher company now has 58 stores across United States, Canada and United Kingdom. and warehouse style offices located in Irvington, New York. The offices were recently remodeled to increase natural light useage and is now undergoing repairs after damage from Hurricane Sandy. Rosenzweig, C., Solecki, W. D., Hammer, S. A., & Mehrotra, S. (Eds.). (2011).Climate change and cities: first assessment report of the Urban Climate Change Research Network. Cambridge University Press. Hallegatte, S., Henriet, F., & Corfee-Morlot, J. (2011). The economics of climate change impacts and policy benefits at city scale: a conceptual framework. Climatic change, 104(1), 51-87. 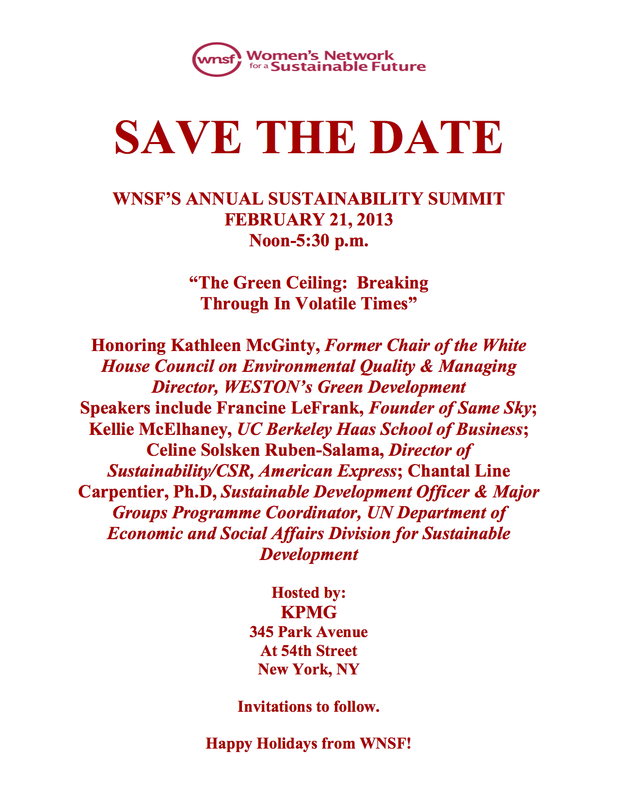 On Thursday, February 21, the Women’s Network for a Sustainable Future (WNSF) will present the 2013 Businesswoman’s Leadership Award to Kate McGinty at their 2013 Summit entitled “The Green Ceiling: Breaking Through in Volatile Times.” The summit will be held at KPMG in New York. Kate will accept the award from Dianne Dillon-Ridgley, WNSF Executive Director and 2013 Summit Chair; Board of Directors, Interface, Inc. They will then hold a question and answer session with Kate moderated by Brandi Colander, WNSF Director; Deputy General Counsel, CEQ. WNSF, a 501(c)(3) organization develops programs that ensure a lasting contribution from women in business to sustainable human development. For over a decade, WN SF has been serving tens of thousands of women, capturing imaginations and bringing people together to build more effective workplaces. To read more about Kate and the event click here. Click here for the PDF version of the flyer below. The flyer below is available in PDF or PNG format. Smart leaders know that culture needs to be managed as closely as the bottom line. Achieving sustainable growth requires embedding key cultural traits into the very fabric of organizational culture. Diana Rivenburgh is the CEO/President of Strategic Imperatives, Inc., a strategy, leadership and organizational change consulting firm helping to build sustainable, profitable organizations. By working with her, clients create leading-edge strategies, develop strong leaders, transform cultures and engage stakeholders. Prior to launching two consulting practices, Diana held several corporate executive positions with Gartner, Gentiva Health Services and Olsten Corporation. She serves as a faculty member for Singapore’s Sustainability Institute and on the Global Council for Appreciative Inquiry Consulting. As a Board of Advisor member of the Metro Atlanta Chamber, she serves on the Chamber’s Global Commerce Committee, the Environmental Policy & Sustainability & Committee and the Clean Tech Council. Diana speaks and writes on harnessing change, sustainable business strategies, and the leadership and organizational capabilities important for enduring success. She has her M.S. in Positive Organizational Development from Case Western Reserve University and a B.S. in Business Administration from NYIT and has studied internationally at Ashridge Business School (UK) and Katholieke Universiteit Leuven (Belgium). **Please bring your lunch, this is a complimentary brown bag event. Parking is available in the adjacent Civic Center lot. Know a woman who’d enjoy being part of the WNSF community? Please forward this invitation! To join the WNSF Atlanta mailing list, please add your name here. I had the pleasure of attending the VERGE Conference in WDC in March – and I must say it was one of the better conferences. I went away with a lot of new knowledge, as well as some good stories, suggestions for the NEW MEGA TRENDS and I met a lot of great innovative people. I also started my Twitter career :-). All in all It was worth the 2 days! One of the things I’ve learned using Twitter is to keep my comments short and sweet, and as we are all busy people I’ll try to give you all my takeaways in short and sweet bullets. 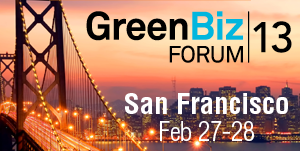 If you want to know more, Greenbiz has made a fantastic site with videos and articles from the conference. I was very impressed by Lisa Gansky, the author of The Mesh. Lisa started with a story on the biggest trend she saw – Sharing! … Have a look at http://www.meshing.it and you will get an idea about the pulse of the sharing economy. I really enjoyed Tim O’Reilly who talked about the world as a global brain – but also as a child, where it is up to us the grown ups to teach the Global Brain. It is a fascinating but also scary perspective if we, the parents/teachers, don’t do our job right. Robin Chase, the Founder of Buzzcar, took the “getting the audience attention prize” when she not only talked about car sharing, but also bed-sharing as the newest trend – check her and bed sharing out HERE. …who sees a need and decides to solve it SMART by using APPS to get people to work together. Biggest barriers for success are lack of ability to measure and understand the data – and even more to know the right things to measure. We have SMART technology – but we need the technology to work together with people! Young people would rather loose their wallet than their mobile phone – let’s use the power of instant intelligent data that the smart phones can bring and give. 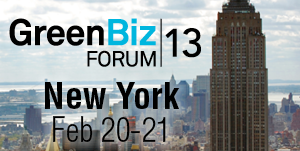 The conference was put together by GreenBiz and Joel Makover and his team did a fantastic job.